A balanced schedule of self-directed and teacher-directed activities encouraging the development of social, emotional, cognitive, creative, self-help and motor skills. Posted lesson plans guide the daily program in each classroom. Classroom and center-wide field trips provide new experiences in the community beyond the Center. 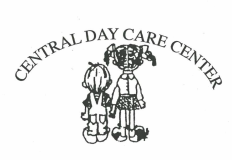 Central Day Care Center’s approach to discipline includes positive reinforcement, restatement of previously established limits and redirection to encourage self-control, self-direction and cooperation. Central Day Care Center started out in the lower level of Central United Methodist Church in Traverse City on March 18, 1968. In September of 2011 we relocated to our current location on Barnes Rd. We are a non-profit, non-denominational Center. Our Board is comprised of representatives from the community supervises the Center. They select a Director to plan, coordinate and oversee the Center's program. In turn, the Director assembles a staff composed of qualified childcare professionals concerned about the welfare of children.